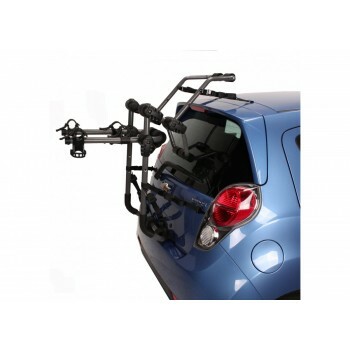 Baja deluxe trunk racks features easy to use quick-release adjustment hubs for a perfect fit on most.. Independent, easy-to-use adjustment hubs with quick release levers allows for 180° degree rear brace.. The Express 3 is an economical three bike trunk rack. Fits most vehicles with easy-to-use adjustment.. The patented Over-The-Top features an adjustable “high rise” frame which prevents strap contact with..